My review of the previous episode: Apollo. Russell Lewis had to be frustrated that Inspector Morse already had an episode named Happy Families, because that's the theme of the story more than anything. Unhappy families, of course. There aren't any fireworks (no tigers or haunted houses to be found here, as there usually are in the season's third episode), but this is a strong meat-and-potatoes story which, like last week's story, manages to land quite a few serious character-based punches. My review of the previous episode: Pylon. 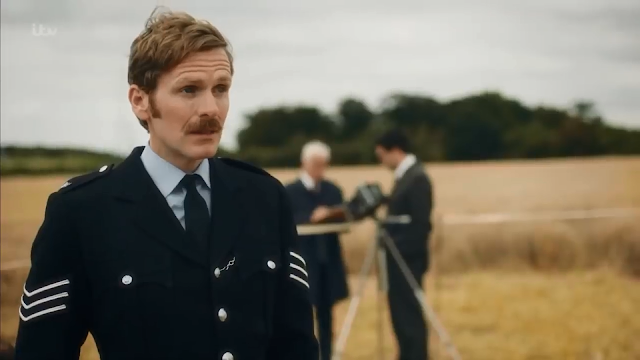 We've seen Shaun Evans in front of the camera, but this is our first chance to see what he can do behind it. It turns out, the answer is: quite a lot. 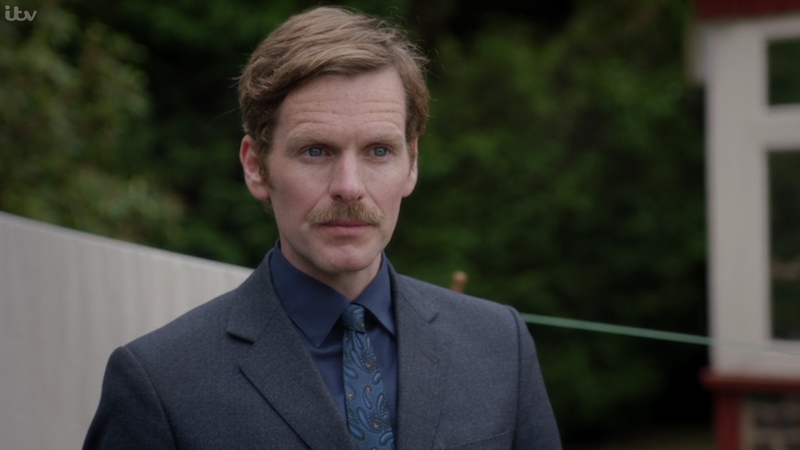 After a rather functional finale established the new status quo, Endeavour finds time to dig into real character conflict in this insightful, thematically rich second episode that balances all of its subplots beautifully. The story starts with Adam Drake - a snarky jerk - and his girlfriend, Christine Chase. They attend a party with Drake's colleagues - the Humbolts and Wingqvists. Adam and Christine's bodies are discovered the next day at the scene of an apparent wreck. Meanwhile, Thursday is assaulted by some thugs and on doctor's orders he's put on light duties, which means he and Morse - newly reassigned to Castlegate CID - investigate the wreck together. Christine's body has been disturbed, and it looks like she died before the "accident." My review of the previous season finale: Icarus. 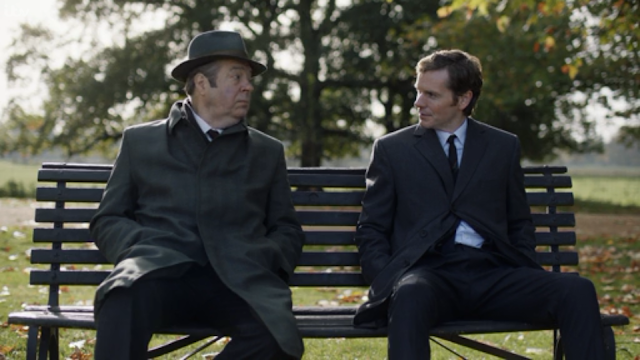 There's a certain ineffable quality about Endeavour. 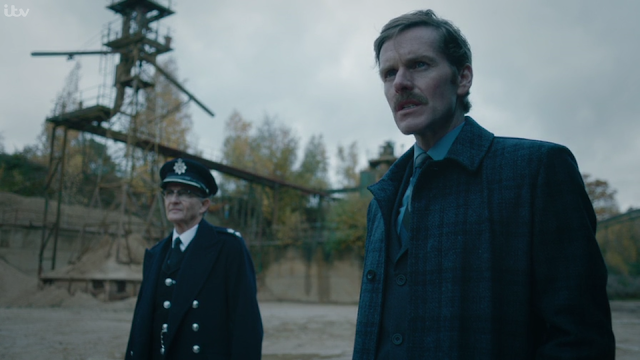 I always feel like I've visited a far-off country when I return to the series, regardless of my critiques of individual episodes (this is me obliquely referring to my grumpy review of last season's finale). Why is that? There's a good dollop of nostalgia, certainly, as this episode's beginning demonstrates (C.S. 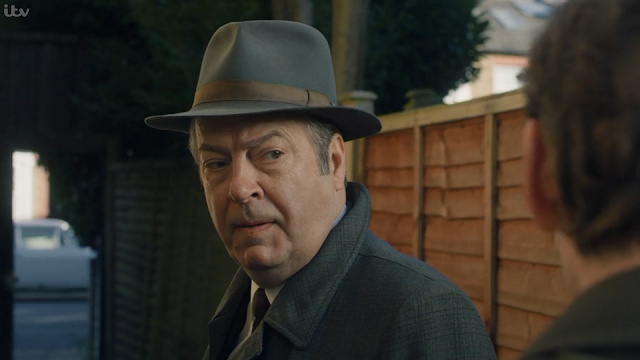 Bright stars in a re-creation of a classic British road-crossing PSA). But there's also an air of lost grandeur - a Brideshead Revisited wistfulness which laments changing institutions and lost innocence. 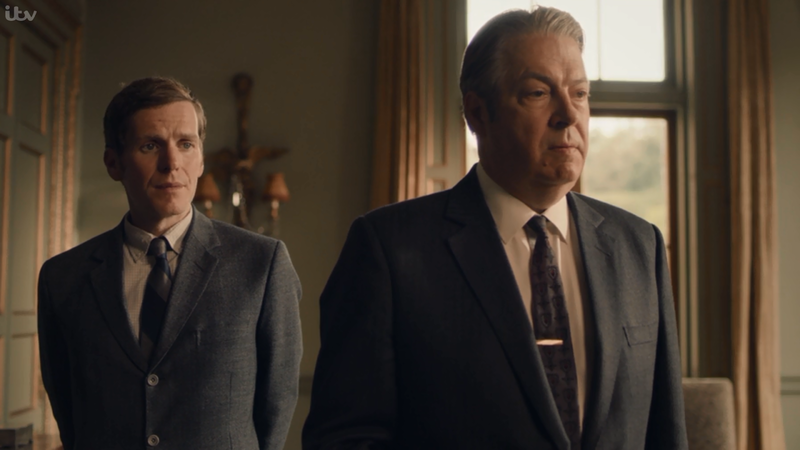 Both Inspector Morse and Endeavour are full of that emotion. Pylon is as well, though it ultimately tries too hard to be too many things to fully cohere as a story. Nevertheless, it's another fresh start for the show, and it reminded me anew the reasons to appreciate it. I'll get into those later in this review. First, we need to talk about the Morsestache. 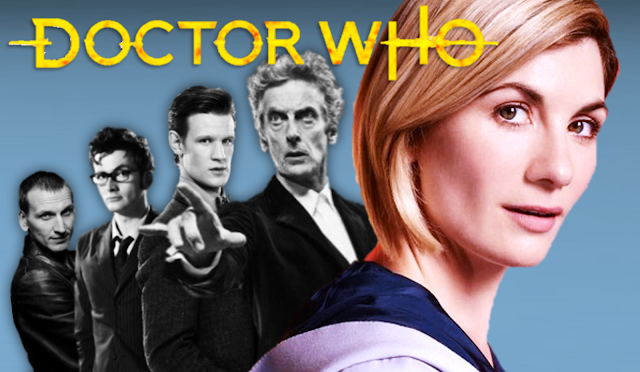 My review of the previous episode: Quartet. That's it for Cowley, then. Mr. Bright begins the episode announcing the station's closure, to a welcome return of an opera soundtrack. The news confirms Fred in his plans to retire. Fancy, in love with Trewlove, has bought a ring. Trewlove wants to transfer to the Yard. At first, I thought Morse was taking Thursday's retirement so hard that he'd quit the police force, but it turns out he's going undercover as a teacher at a boy's school. He's not alone. Trewlove is along to play Mrs. Morse, a narrative stretch that does actually push the characters in interesting directions, but still feels implausible. My review of the previous episode: Colours. There's no real reason for all of the Thames Valley crew to be at the Jeux Sans Frontières, a weird game show pitting European teams against each other. Are they there for security? I mean, that's for beat cops, not detectives. I can't imagine Morse or Max attend such events for fun, especially Max, who's fully decked out in his usual bow-tie and suit. In any case, it's lucky the team are there to immediately respond when the German "Giant" is assassinated by the Swiss. A little boy is caught in the cross-fire. The Swiss giant disappears. International incident, here we come. My review of the previous episode: Passenger. I didn't see that beginning coming.